Day 4 and last day of our stopover in Iceland was another cold and rainy day. 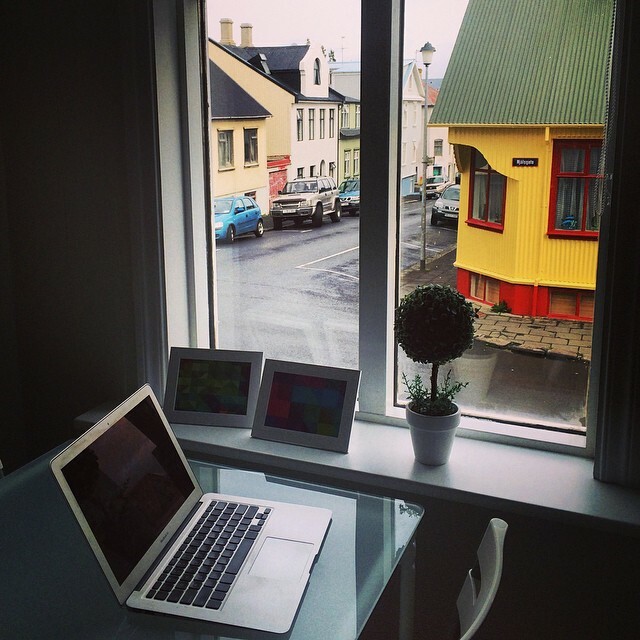 I had written blog posts, edited videos and checked in with my clients by the window shown in the picture above. As usual, we rented an apartment with AirBnB. 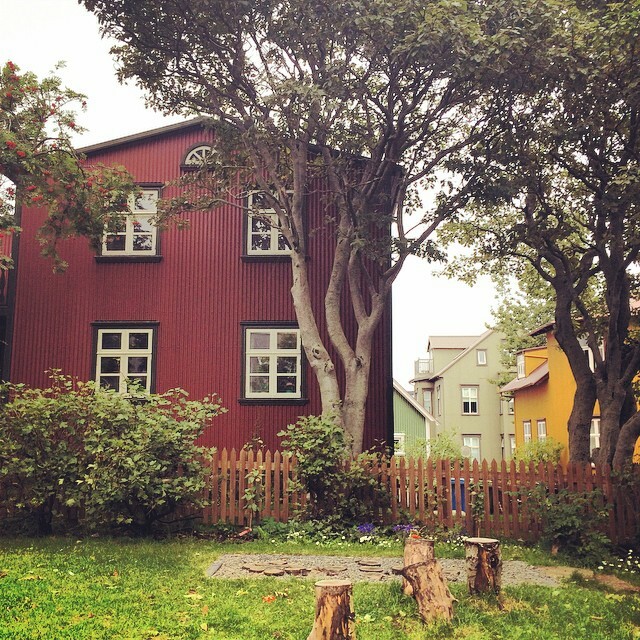 Our flight wasn’t until midnight so we put our bags at the bus station and went for a walking tour of Reykjavik. The tour was free (just pay tips if you want) similar to walking tours we’ve been to in South America. We’d already seen a lot of the locations but it was nice to have a guide to tell us the history of the things I walked by without giving much thought. Before it started drizzling, I took a picture of this house built in 1898. Afterwards, we still had some time so we visited a few cafes. One before the tour was Tiu Dropar café (which I found out through Twitter!) and after the tour, Mokka cafe. When it was time for dinner we were adventurous at Sjávargrillið restaurant in Reykjavik. 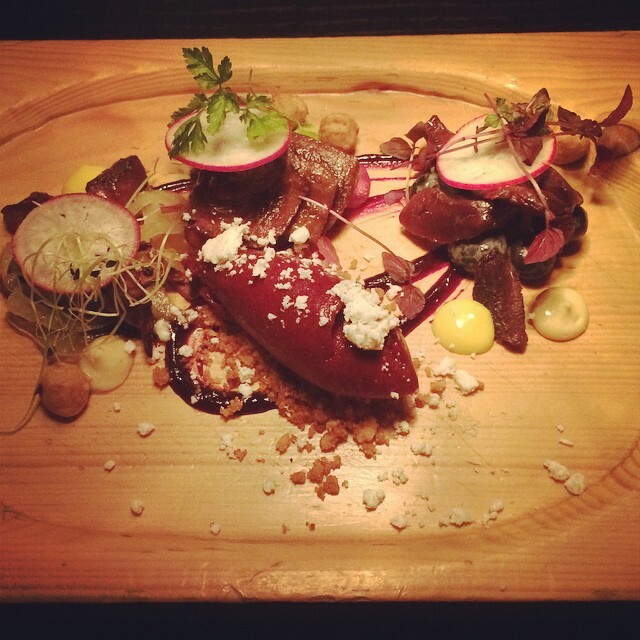 This looks like a pile of random things… it’s actually whale, puffin, European snag meat and blueberry sorbet! It was pricey but worth trying! I’m now sitting at Keflavik International Airport in Iceland waiting for our midnight flight to the next location. And continue following my travels on Instagram at http://instagram.com/bethanylooi!